This project was one of the first times I saw the beauty in user validation and clean interfaces. 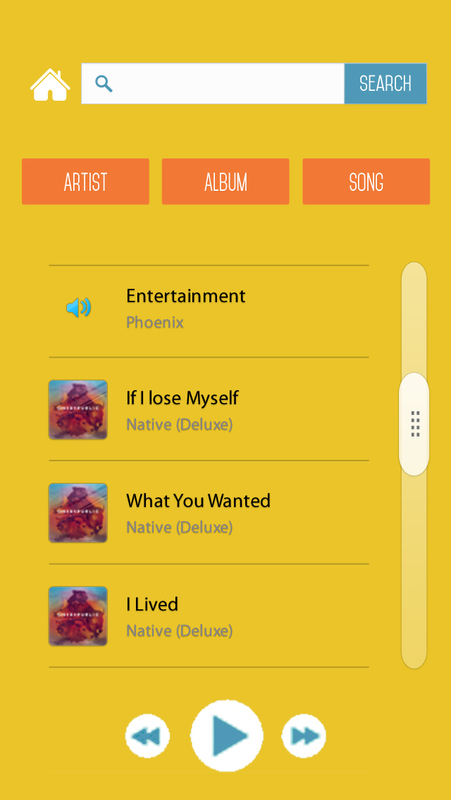 The objective was to create an app that will allow selective track selection in concerts. 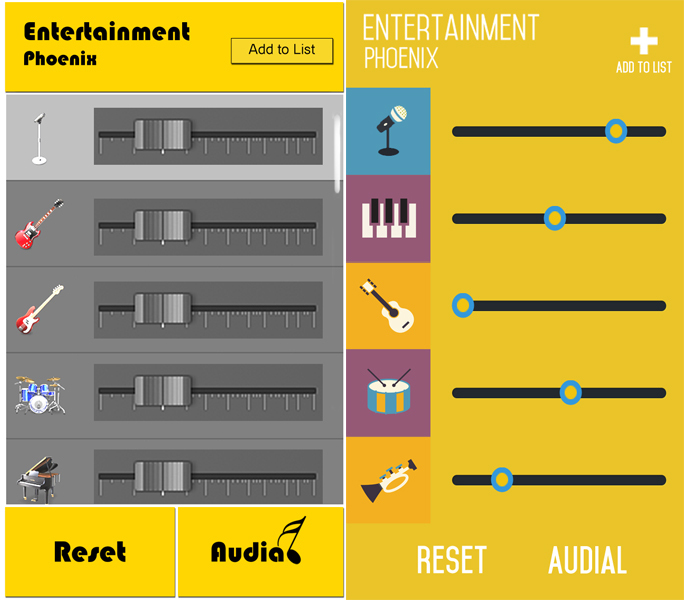 The app was meant for sound geeks and tinkerers, the idea was to allow these people to customize the concert experience. I was in charge of the design department, with validation from the other team members. Our initial wireframe went through a lot of clean up. What was interesting with this was the design scheme we were trying to emulate. Originally, as can be seen from our wireframes, I was trying to go for a rectangular feel overall. From the paper prototype we moved our wireframes to Balsamiq, so we could have a more interactive prototype. By creating an active prototype, it was easier to look at the data from User Validation tests. By rapidly evolving and testing our design. I was able to find the right balance between signifiers and a clean interface. The hardest time I had was with the actual mockup, the initial interface did not meet the standard I had in my mind and looked wrong. Which is where I went back to the user validation data and good design principles. After incorporating all that information, the mockups were sent to InVision for presenting. The gallery below shows the transition and the final mockups.